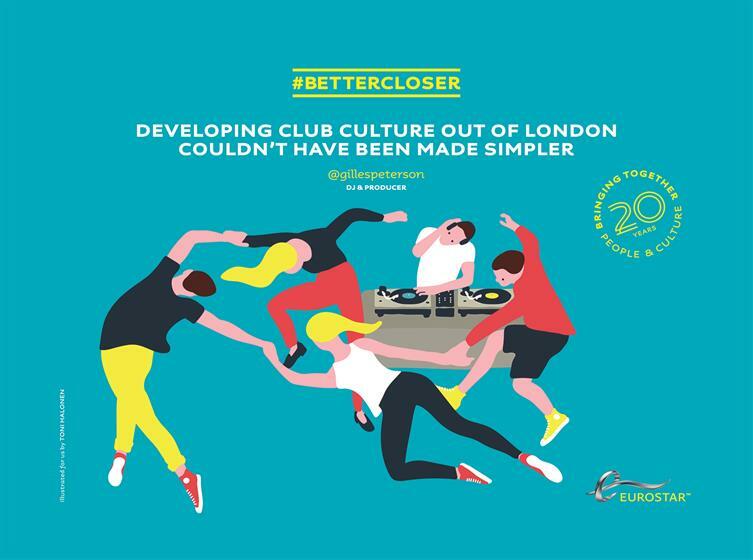 Eurostar has launched the #bettercloser campaign to celebrate the UK's relationship with Paris and Brussels. 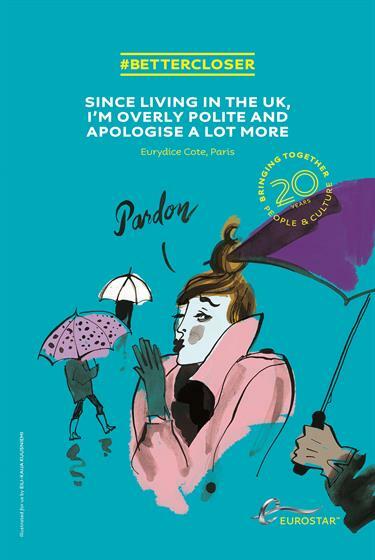 The campaign, which celebrates 20 years of cultural exchange, captures thoughts from travellers and employees on the benefits of the closer connections between London, Paris and Brussels. These thoughts are then bought to life with illustrations by four artists; Jean Jullien, Toni Halonen, Eili-Kaija Kuusniemi and Adrian Johnson. The campaign is already live in Euston, Kings Cross St. Pancras, Paris and Brussels and is supported by social media activity and outdoor advertising.